By now, even the most uninformed individual in the world of football is aware of the DeflateGate controversy that’s swirling around the NFL right now. Despite being only one week away from the Super Bowl, it seems as though the world can’t stop talking about whether or not Tom Brady, Bill Belichick or anyone else within the New England Patriot’s organization purposely deflatedtheir footballs in order to gain a competitive advantage during their 43-7 rout of the Indianapolis Colts for the AFC Championship. Like I said before, practically everyone and their great grandma have some kind of opinion of this scandal. Saturday Night Live did a hilariousskit about it. Even Bill Nye the Science Guy has stepped out of the laboratory and into the arena to weigh in on the situation (for the record: he thinks they’re full of crap). Despite what side of the fence you were on, one thing that everyone can agree on is that the Patriots would have defeated them easily, regardless of any type of “advantage”, perceived or otherwise. Despite that fact however, that’s not what matters. If it turns out that the Pats were guilty of trying to gain an edge, you can’t just shrug that off just because they were ultimately the better team (sorry, Pats fans). Being only 5 years old, my son has no clue about deflategate or any other scandal that might be going on in the world of sports right now. He does however, know all about Candyland. And Yahtzee. And Sorry. While playing those games, there have been moments where he’s attempted to cheat his way through a game if he thinks that he’s losing. Whenever I catch him attempting to slyly switch a card, or suddenly advance his game piece further, I don’t get upset. I try to use those moments as an opportunity to teach him about the importance of fair play and sportsmanship. To help him understand that there’s greater satisfaction in winning without using underhanded tactics. And most importantly, that it’s okay to hate losing, but if it happens, you lose with grace and come back stronger the next time. These are crucial to teach now, but these principles don’t just simply go away when you become an adult; if anything, it’s during this time that you’ll need them even more. Millions of children look up to these NFL players and put them on a pedestal as idols for them to emulate. They are watching these players and the sport owes it to them to maintain their integrity and not allow players, coaches or owners to get away with any kind of wrongdoing whatsoever. That’s why deflategate matters. It matters because our children need to know that in football, in Candyland and just like everything else life, cheaters should never be allowed to prosper. 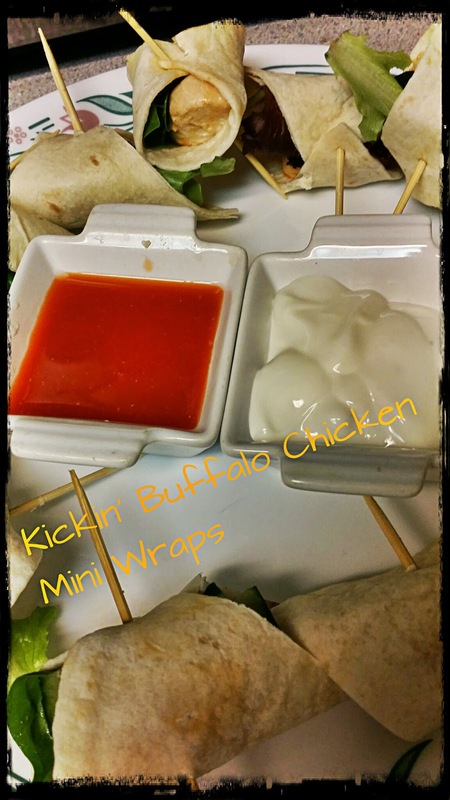 Try Kickin' Buffalo Chicken Wraps as your New Football Party Favorite! The rest of the world is still reeling from the heart-stopping action of the playoff championships on Sunday night. During the first game, my friends and I dropped our jaws in shock as a Russell Wilson and his team stubbornly refused to roll over and came back from behind to defeat Aaron Rogers and this team. The second game, while not a thriller (unless you’re a Brady fan), was also surprising, as Tom Brady and his team completely routed Andrew Luck and this team. Both games, while different, were thrilling to watch. 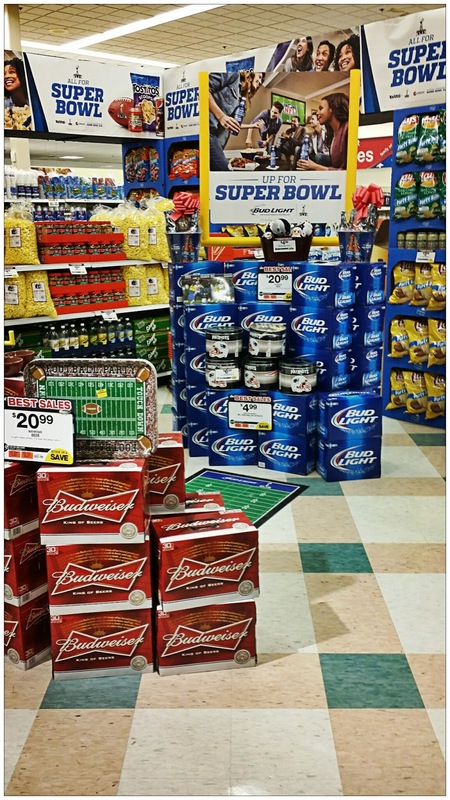 And now we get to see who will reign supreme during the Big Game in Glendale, AZ in a couple of weeks! Whether it’s for the playoffs or the Big Game, a top notch game watching experience isn’t complete without good friends, great drinks and most importantly, delicious food. 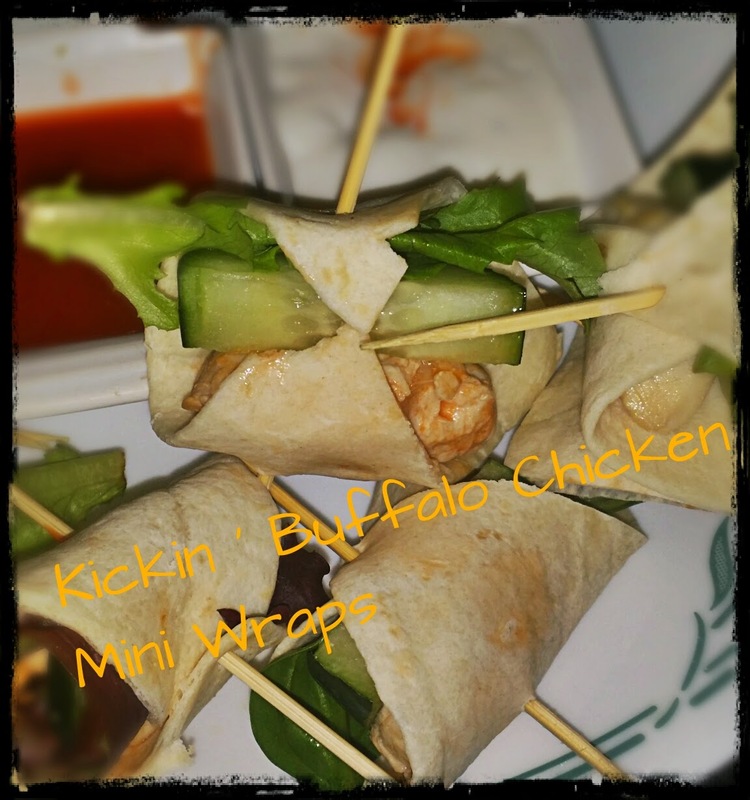 And I for my part, I was definitely up to the task with my fan favorite buffalo chicken mini wraps. What I like most about these wraps (besides the taste, of course!) is that they’re quick and ridiculously easy to make. 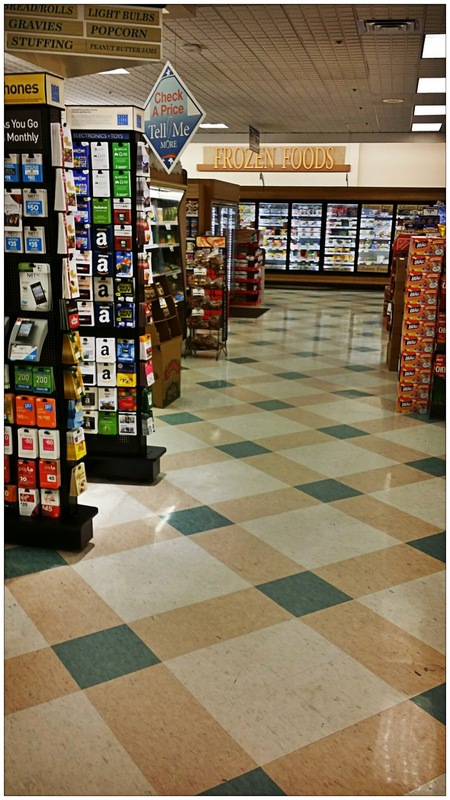 To get everything I needed, I took to quick trip to my local Big Y Supermarket. As New England residents, my family has been a long time customer of Big Y and I've always been a fan of the price of their quality products and their friendly customer service. 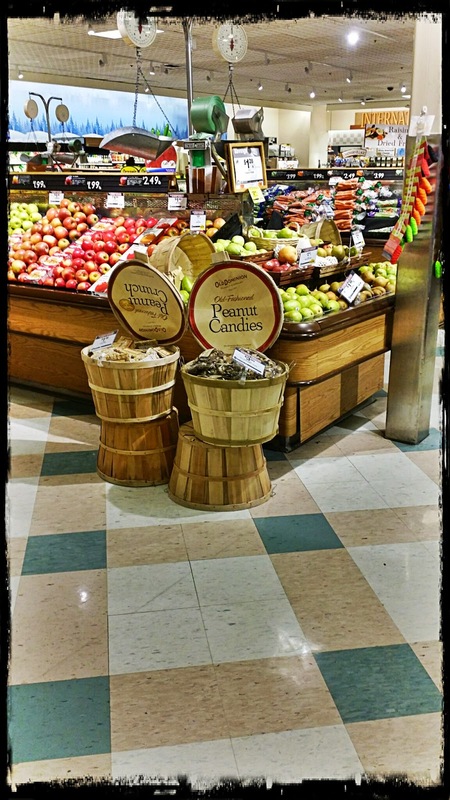 I love how I can always count on them to have the freshest ingredients along with reasonable prices, especially since I’m a Silver Savings Club Card member. 1) Heat olive oil in a large frying pan over medium high heat. Once hot, throw chicken pieces in and cook until all sides are thoroughly cooked. 3)Wrap chicken inside tortilla piece, along with a cucumber piece and piece of lettuce. Use toothpick to keep closed. Dipping sauce is your friend! You can mix and match your own ingredients to keep in line with your own taste. I can tell you first hand that it was a hit at the party. But if I didn't feel like cooking, it's nice to know that Big Y has convenient game day selections that you can take advantage of. For example, there's the Power Party Pack, which comes with two 30 inch super subs (roast beef, ham or turkey), party size pizza (one topping), 4 pounds of super tenders, InVinceIble Pizza (more info here: http://www.bigy.com/OurStores/FoodService/InVinceI...) InVinceible Sandwich (We start with a loaf of our famous LaCrosta Italian Bread, layer in a pound of meat (Ham, Pepperoni, Hard Salami and Capicola Hot Ham), add Provolone Cheese and top it with Lettuce, Tomatoes, Roasted Red Peppers, Onions, Banana Peppers, Mayonnaise and Basil Pesto.) Game Day Seasoned Wings: in the butcher shop – Buffalo, Teriyaki, Beer Can and honey BBQ. As most of us know, the third Monday of each January is the day that is meant to honor and reflect upon the legacy of the great Dr. Martin Luther King Jr. His life and teachings have provided us with a blueprint on tolerance, love and finding courage in the face of seemingly insurmountable obstacles. Being the proud father of two biracial children, I am especially grateful to Dr. King and the others who fought for our basic right to freely live and love. And as such, I’ve always felt a particular obligation to ensure my kids will be educated about the Civil Rights Era, so they can understand just how far we’ve come. So the other day I sat my 5 year old down in order to discuss just that. Me: Do you know why we celebrate MLK day? Son: He brought all of the White people and Black people together. Me: That’s right! It’s because of him that I was able to marry mommy. Without people like Dr. King and all of the other people during that time who realized that it wasn’t right to keep people apart like that, I probably would have married a Black woman and mommy probably would’ve had to marry a White man. Son: Okay, so that just means I wouldn’t be tan anymore, right? Me: Actually, it means that you wouldn’t have been born at all because you grew in mommy’s belly and I helped make you. If that doesn’t happen, then you wouldn’t exist. Son: (pauses in thought) Huh? How did you help make me if I grew in mommy’s belly? Me: Well, when a man and a woman love each other very much, they, uh, come together and sometimes God puts a baby is put into the woman’s belly. Son: But HOW?? It doesn’t make sense. Me: ...You’ll understand when you’re older. After some persuading, he was eventually satisfied with our conversation and (thankfully) I narrowly averted giving him the “Birds and the Bees” speech to my son about 10 years too early. The important mission however, has been accomplished. He understands that Martin Luther King is more than just an extra day off of school. It’s a day to think about those who came before us with dreams so precious, they were willing to lay down their lives in order to make them a reality.